Recently, some of my blog readers complained that the New MTN BB10 Lite Plans (Unlimited Browsing On Android and PC with just #70 on MTN) is not working perfectly, unlike when it came out new. At first i disagreed with them, I tried it and found is true. I have to figure out what is actually the problem and luckily i was able to get the solution online from a friend blog. I followed up the instructions and procedures. Luckily, I was able to fix it and get it to work back again. Today, I want to share with you the same procedures and steps I took to get back my MTN BBLITE 5GB Plan with Simple Android Server to work back flawlessly again. All thanks to Steven. If you are having the issue or problem with your BBLITE Simple Server on Android, follow up or read this post very well to get it fixed. Note: New MTN BB10 Lite Plans (Unlimited Browsing On Android and PC with just #70 on MTN) is working but not perfectly well. Simple Method to Root Infinix and Lenovo Phone/Device. 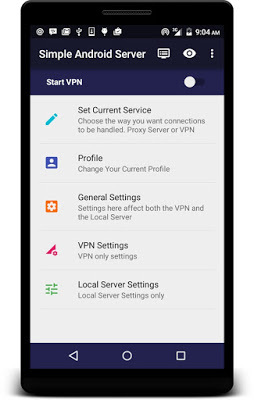 Simple Method to Root Any Tecno Phone/Device. 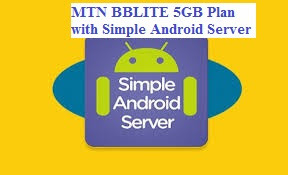 Here's how to Fix your MTN BBLITE 5GB Plan and Simple Android Server to work back flawlessly again. 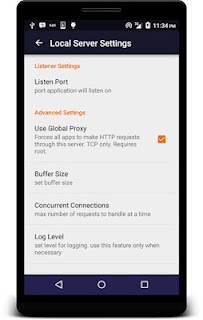 Second Step: Navigate to Google PlayStore to Download Simple Android Server or Download it Here. Third Step: After downloading it, open Google PlayStore on your phone and navigate to Simple Android Server to see if there is still any update, if you see the update button there, click it to update your Simple Android Server (SAS). If not, that means your SAS is up to date. Final Step: When you are done with the settings, subscribe to any of the BBLITE plans I shared with you, in one of my previous post. 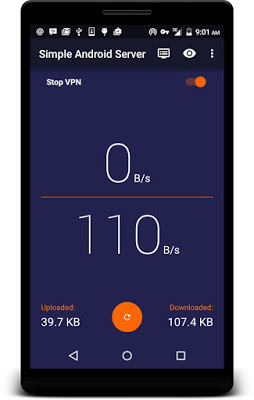 Turn on your data connection, start your Simple Android Server and your BBLITE Subscription + Simple Server and see how fast it work. The steps are exactly what I did to get mine BBLITE Subscription + Simple Server working back. I'm sure it's going to work for you too, if you follow up the steps above. Do you like this new Simple Android Server and is it working for you? If Yes or No, kindly drop me a comment through the comment box. Also, If you are facing any problem with the configuration, let me know. Kindly share this post with a friend and tell that friend to share it with another friend. Related Posts: Android Tips, Free BIS, MTN Tips. Labels: Android Tips, Free BIS, MTN Tips.